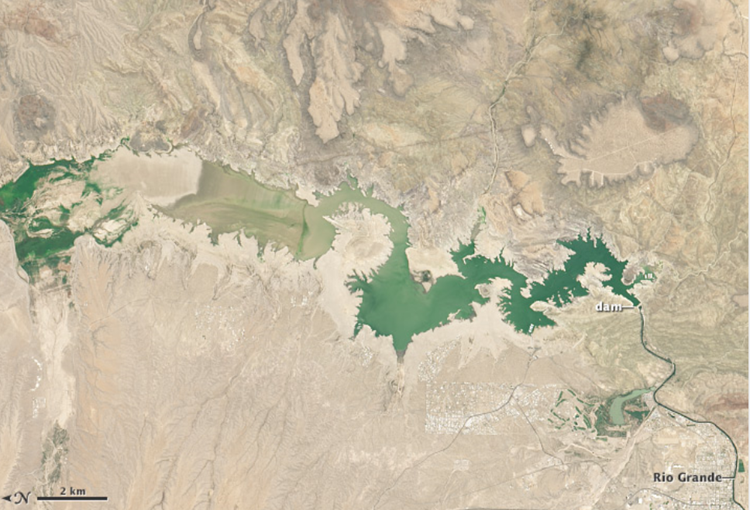 Spring runoff is stored in Elephant Butte Reservoir in southern New Mexico before releases are made for irrigation and municipal use in southern New Mexico and the El Paso area. El Paso Water is a customer of the local irrigation district (El Paso County Water Improvement District No.1), and obtains water through ownership of water rights land and leasing of water rights from agricultural water rights holders in El Paso County. 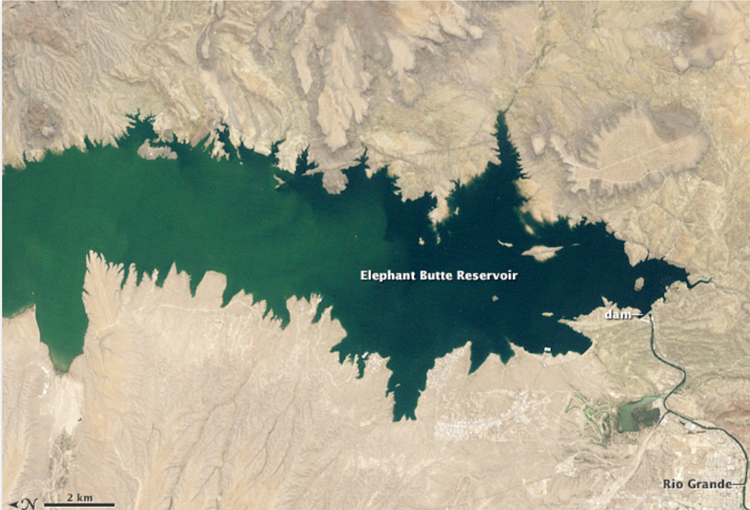 Elephant Butte Lake, which is in New Mexico, is governed by the Rio Grande Compact. The Rio Grande Compact is an interstate compact signed in 1938 between Colorado, New Mexico and Texas. The compact was approved by the U.S. Congress to equitably apportion the waters of the Rio Grande Basin. With only nine inches of rain per year, some might think El Paso is in a perpetual state of drought. Yet, drought hurts El Paso the most when we don’t receive adequate river flows from the Rio Grande. Though we count on the river for about half of the water supply, we may only get a fraction of that in drought years. The images shown contrast 1994 — a normal, but not a high year — with 2013, which was one of our worst drought years. In 2013, river water was only available for less than two months and barely covered the city’s water needs. To meet future water supply needs, El Paso is working to diversify its water sources to ensure that the city has sufficient water even in the event of a severe drought when no river water will be available. The Texas Water Development Board provides continuous monitoring of Elephant Butte Reservoir water levels. Click here for current information and historical trends.